Mood: Be a flamingo in a flock of pigeons. Lately, I've decided that my wardrobe needs a major adjustment. There's so many things that I've worn once, or not at all, and I'm just like, why do I need to hoard it?? Plus, getting rid of things means making room for new ones, right? I'm totally not against creating a capsule wardrobe for spring. Sooo I probably won't narrow it down to 40 items (that's intense), but I'm all about "defining" my style and making it way easier to get dressed in the mornings. When everything coordinates, it just works better! I also have the tendency to dress according to my feels, and that needs to stop because I end up in outfits that aren't me at all. Instead, I'm looking forward to enhancing my everyday looks that truly let my personality shine through! I'm super inspired by wardrobes like Mackenzie Horan's of Design Darling because it's consistent, unique but fun! She sticks to a strict color palette and silhouettes, but it works. I probably couldn't narrow my wardrobe down to just 3 colors (thanks, Lilly), but it'd be cool to create a color palette to use as a guide while shopping. Meanwhile, you can keep up with my indecisive style on Pinterest. Wish me luck. 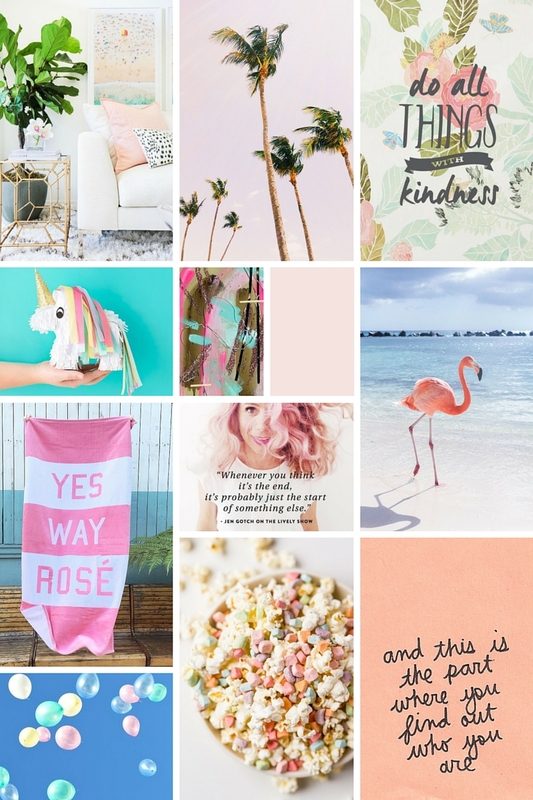 Love your spring inspired mood board!! That flamingo is the cutest!